Are you an accounting student looking to connect with firms and organizations for internship and job opportunities? 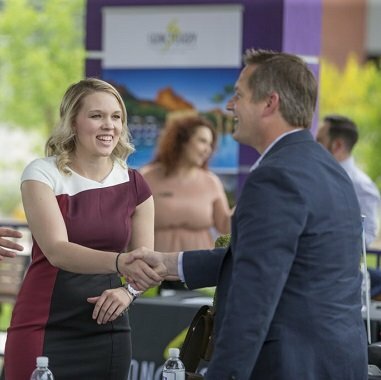 Meet the Firms is your chance to meet with companies and other organizations that are seeking talented student candidates like you. RSVP for this exciting event – and don’t forget to bring your resume! Contact the Career IMPACT Center for more information on how to prepare your resume, get networking tips and sharpen your interview skills. Get more information about educational alliances and opportunities at GCU.